After a rough spring break trip to Arizona, the Madison College men’s baseball team has won four of its last six games. The two losses during that span were both by one run. Most recently, the team won both games of a home doubleheader with Kishwaukee College on March 30. Madison College won the first game, 3-2, rallying with two runs in the bottom of the seventh inning, scoring the winning run on a Kishwaukee error. The victory came despite the fact that the WolfPack was held to just three hits and stranded 11 baserunners. The game featured solid pitching by Nate Brown and Brandon Komar. Brown went four innings, allowing two runs on just three hits. Komar got the win, pitching three innings without allowing a run or a hit. 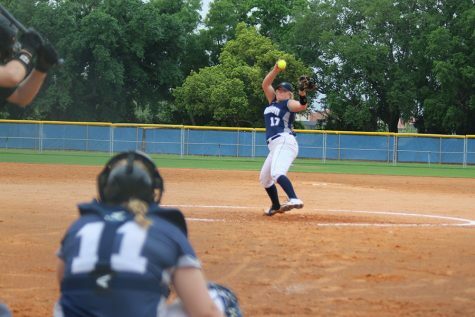 The second game against Kishwaukee saw the Madison College bats heat up in a 4-0 victory. The WolfPack had nine hits in the game after taking command with a three run second inning. Jarrett Scheelk, Garrett McGraw and Nick Gile each has two hits for the WolfPack. Pitchers Matt Hamilton and Jonathan Dominguez combined for a shutout. Hamilton earned the win, allowing no runs on three hits in six innings. Dominguez earned a save, pitching a 1-2-3 final inning. 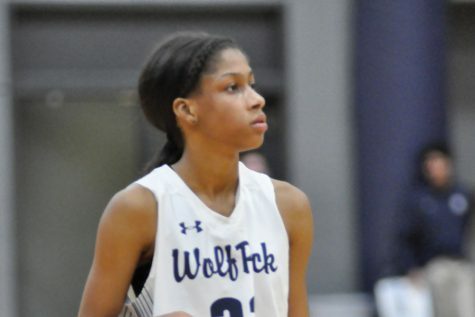 Madison College is scheduled to host Elgin Community College on April 3 before traveling to Sauk Valley Community College on April 5. Conference play begins on April 7 with a doubleheader at Triton College. McGraw, Gile and Cam Cratic are currently Madison College’s top hitters through 16 games. Garret leads the team in batting average at .429, while Cratic follows at .370. Gile is hitting .353 and has two of the teams three home runs this season. As a team, the WolfPack are hitting .281 with 15 doubles, two triples and three home runs. It has 118 strikeouts, 10 more than its opponents. 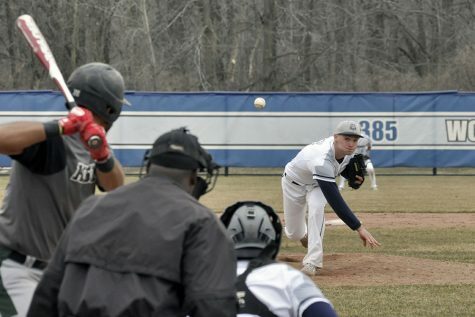 Three of Madison College’s pitchers allow fewer than three runs a game. Jack Eagan has the team’s top ERA at 1.06. He has pitched 17 innings, allowing 10 hits and just two earned runs. He has struck out 21 batters while walking just eight. Matt Hamilton has a 3-0 record and a 1.54 ERA. He has pitched 23-1/3 innings, allowing 14 hits and 4 earned runs. Nate Brown has an 0-2 record, but has a solid 2.55 ERA. He has struck out a team-high 22 batters in 17-2/3 innings, allowing just 14 hits and 5 earned runs.